Enter your email address below to receive a notification when Ratty Box starts accepting new sign-ups! Enter your email address below to receive a notification when Ratty Box is accepting new sign-ups again. We ship boxes out on the 10th of every month with a renewal taking place on the 20th of each month! Ratty Box - your ratties are sure to love it! 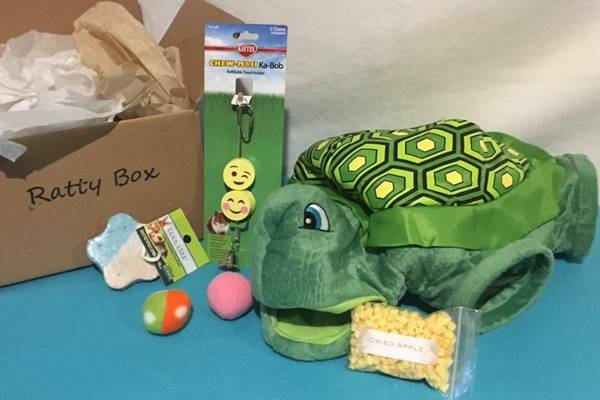 Ratty Box is a monthly subscription service that delivers ratty goodies to your door! 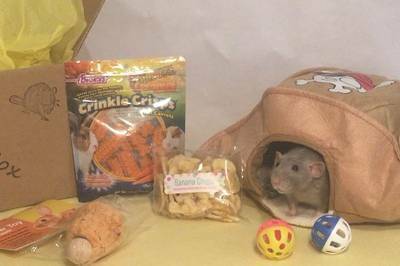 Ratty Box contains 5-6 treats, chews, cage accessories, toys and other goodies that your rats are sure to love There are never any nasty ingredients such as Timothy Hay, dried corn kernels, alfalfa, or raw nuts, to name just a few! 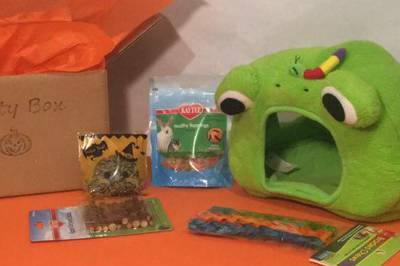 Fun toys that your rats are sure to love! 5-6 items delivered to your door each month! We live in the U.K. and considering this company is from the US it gets to us easily and quickly. The owner is such a sweetheart, she follows us on insta and genuinely cares about her customers. We love our boxes every month and it’s so fun to get stuff from the US that we don’t see over here! 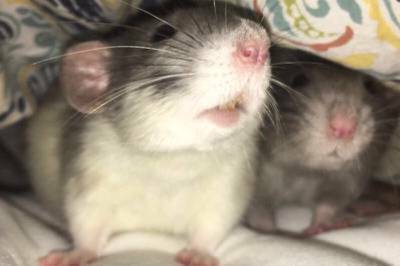 My ratties love all the products they get. My only con is that shipping makes the box quite pricey :( but that obviously can’t be helped.